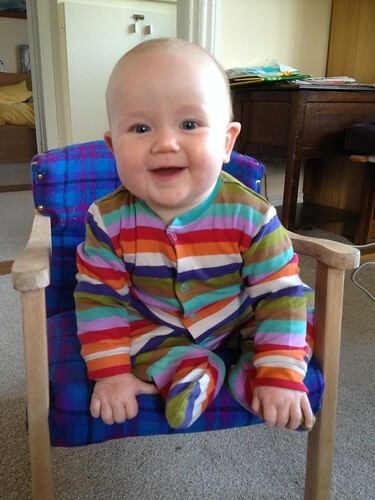 Today this gorgeous little madam is 9 months old. She has been alive for longer than she was inside me and I can’t believe what a fabulous little personality she is turning out to be. I have realised that The Little Miss is pretty much the same age now as The Little Mister was when my Mum died. It feels like such a long time ago and yet is has gone by in a flash. 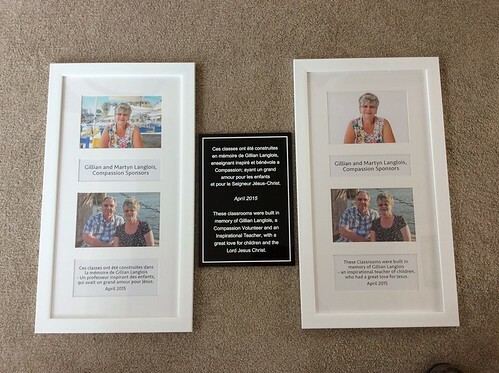 She would have loved them so much. I wish she was still here. So many mixed feelings at times. Sadness and happiness. Grief and the pleasure of new beginnings. Tears and sadness. Life hasn’t turned out quite like I expected, but today, once again, I choose to count my blessings. This gorgeous girl is one of them. Today my Dad, sister and my Mum’s best friend started their journey to Burkina Faso to open Mum’s legacy; two well constructed, large and functional classrooms in a rural area in Burkina Faso. 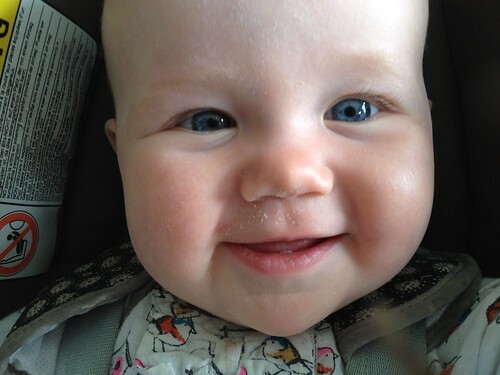 I wish, more than anything, that I was going with them but it was just not possible due to still breastfeeding Eliza and I didn’t feel it was sensible to take her out there with me. Still, knowing that I have done the right thing doesn’t make it feel easier at the moment! I took the kids to church this morning and the service was being led by Bryan, who until recently was a pilot for MAF. He has a loft full of interesting and useless things such as a swordfish sword, a bow and arrow, his flight helmet, and various bits of planes. I have no idea how big his loft is and I have no idea how his wife puts up with all his ‘treasures’! 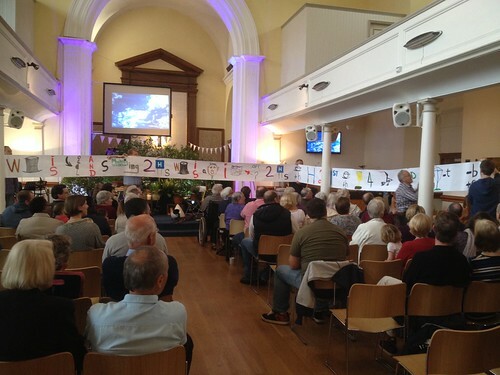 He also has a habit of teaching us bible verses by using pictograms and they seem to be getting longer and longer. Soon we will be able to completely wrap up the church in a seamless piece of paper! The Mister and I have had a busy day, tidying up and cleaning out the garage ad generally sorting things out in the house. He also managed to pressure clean the playhouse before we paint it next weekend. 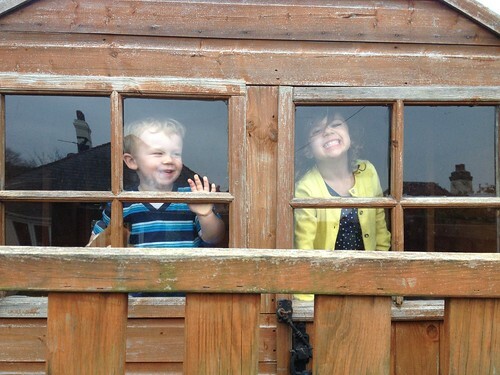 This picture was taken yesterday and is The Little Mister and his cousin Eden. This house is pretty perfect already but I reckon when it is pimped it will be amazing. 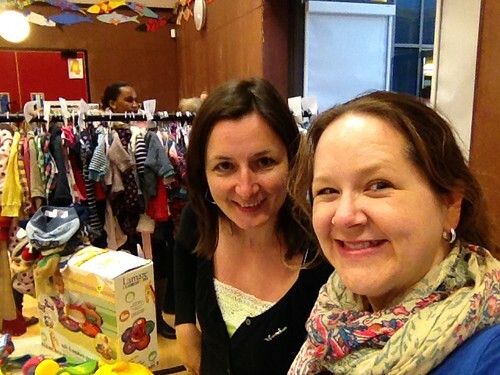 Tonight my friend Emma and I went and had a table at a local NCT sale. We did reasonably well but to be fair, it was quite nice to be able to go out for a catch-up and a gossip. We are definitely a good team. I took sticky labels, sellotape and the clothes rail and she brought a flask of hot water, tea bags and milk. We work perfectly well together! Bit of a cheat picture tonight as I didn’t manage to take one myself. On Monday my Dad, sister and Mum’s best friend Mich go out to Burkina Faso to open the classrooms that have been built in her memory. 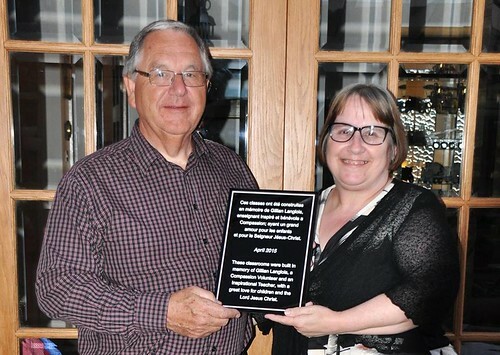 Here is Dad and Mich with the plaque they will take out there with them and it should hang on the wall for all to see. Wonderful. My Dad and my sister are heading out to Burkina Faso next week to open Mum’s school. It’s really exciting and I wish I was going with them. 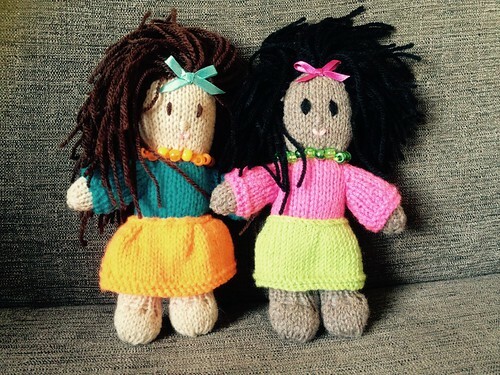 They will also get to meet Dad’s sponsor girl so I sent an SOS to my mother-in-law because I wanted to sent her a couple of dollies. I received these little lovelies in the post this morning. I think she will love them! Spring is probably my favourite time of year. The garden is starting to show it’s promise and everything is starting to flower and colour and look beautiful. 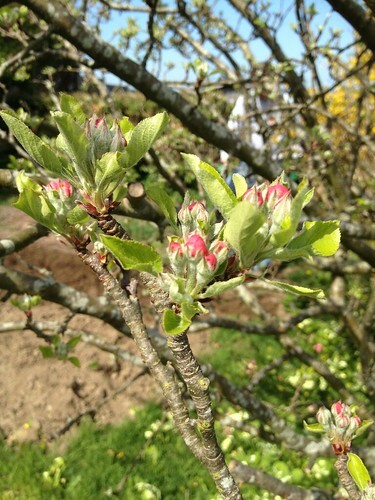 We have a gnarly old apple tree at the top of the garden and the blossoms are starting to peek through. Hopefully this year we will get a bumper crop of fruit. Last year was a bit disappointing so I hope for better. We went to my Dad’s church this morning and whilst I was in the creche feeding the baby my sister was looking after The Little Mister. 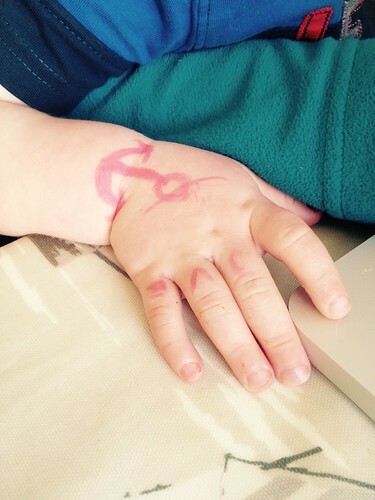 I later discovered that she had kept him quiet my drawing ‘tattoos’ on his arms in pink pen. His ink collection included an anchor, a stick figure of Mummy and LOVE om his knuckles!